Responsive is a technique to optimize a website for all type of devices like laptop, mobile and tablets in order to provide better user experience. Huge variety of smart phones and tablet devices resulted in wide range of screen sizes and there was a definite need of simple and cost effective site layout to fit into all these devices without additional cost and effort. The layout of responsive sites automatically detects browser’s view ports and fills the width and height of the browser window. 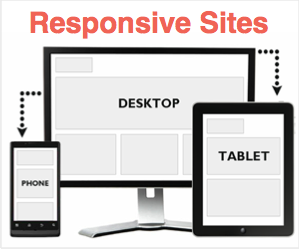 Responsiveness is also referred with other words like fluid, liquid and flexible. Save huge time on setting up additional mobile site. Save money paid to third party mobile site builder tools. Each element in a responsive layout is treated as a grid or box which gets auto adjusted based on the browser’s view ports. CSS media queries are used to detect width and height of the browser window to adjust the style of the site. The minimum width is defined in the theme below which the site layout will be changed to a mobile layout in addition to the alignment of elements. Generally the sidebar elements go below the main content in a mobile device and there will be no horizontal scroll bar visible. Even Google shows the horizontal scrolling as a warning on mobile friendliness tester to ensure site owners provide a mobile site to users without the need of horizontal scrolling. In addition to money and time, responsive sites offer unique user experience on all devices allowing users to remember the structure of a site easily. Most users share bookmarks across the devices they use and responsiveness provides seamless switch between devices without noticing change in layout or content. The URL of site’s pages across the devices also remains same with responsive design. Nowadays just having a separate mobile site is no more sufficient and user experience is the most important factor for search engines. 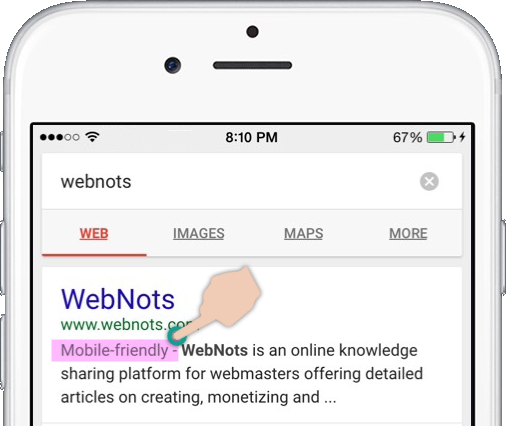 Google on 21 April 2015 introduced a search algorithm change, which considers the mobile friendliness of a site as a parameter to rank sites in search results. Responsive layout is a simple way to provide a unique content across devices with better user experience especially for the sites heavily depending on organic search engines for traffic. Most site builders moved away from their regular themes and concentrating on responsive themes to avoid providing separate mobile site builder tool. You can have a responsive site by using a responsive theme for your site or use CSS media queries to adjust elements on different devices. You can also have a separate mobile site and redirect users to mobile version. At any case, it is necessary to test the site on different devices to ensure the compatibility. All web browsers like Google Chrome, Firefox, IE, Edge and Safari have a builtin developer tools option to view the site on different devices. For example, on Safari you can enable responsive mode under the menu “Develop > Enter Responsive Design Mode”. You can also use Google mobile-friendly tool to check the compatibility of your site on mobile devices.